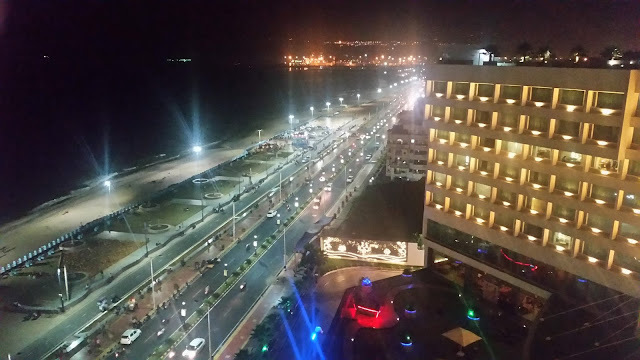 Hyderabad’s experience with innovative and experimental cuisines has been a mixed bag. 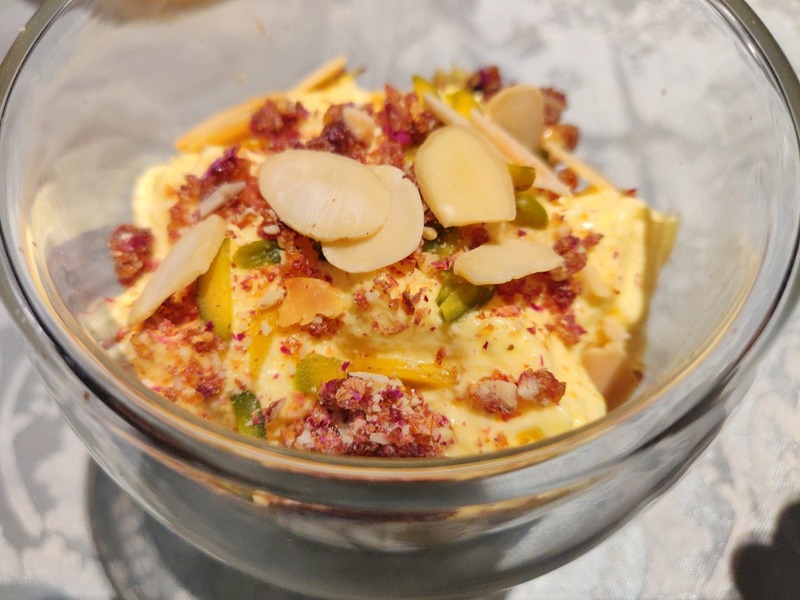 While Farzi Café has done well for itself, Quattro and SpiceKlub closed down after trying for some time. The biryani brigades are not known to be experimental, and their acceptance of anything new has been slow. The clientele of Green Park Hotel has traditionally been the old timers, hence the challenge is even more. 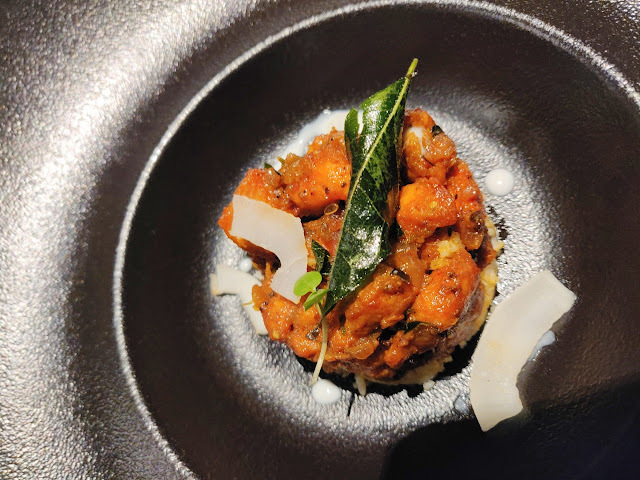 The new menu has been curated by Vignesh Ramachandran, the new Culinary Director of the group. 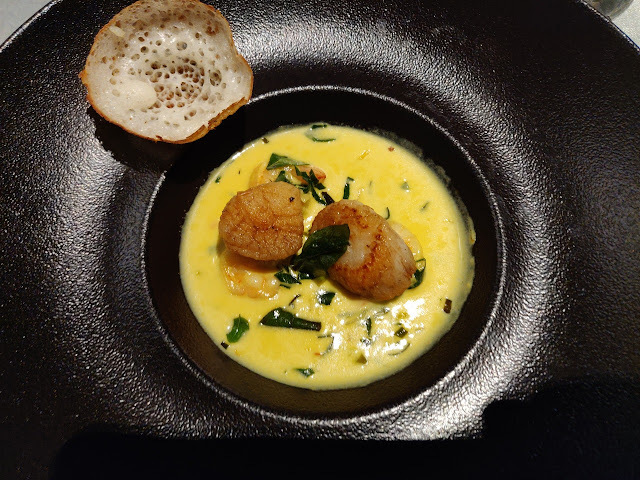 Chef Vignesh has worked with Indian Accent, one of the top restaurants in India. 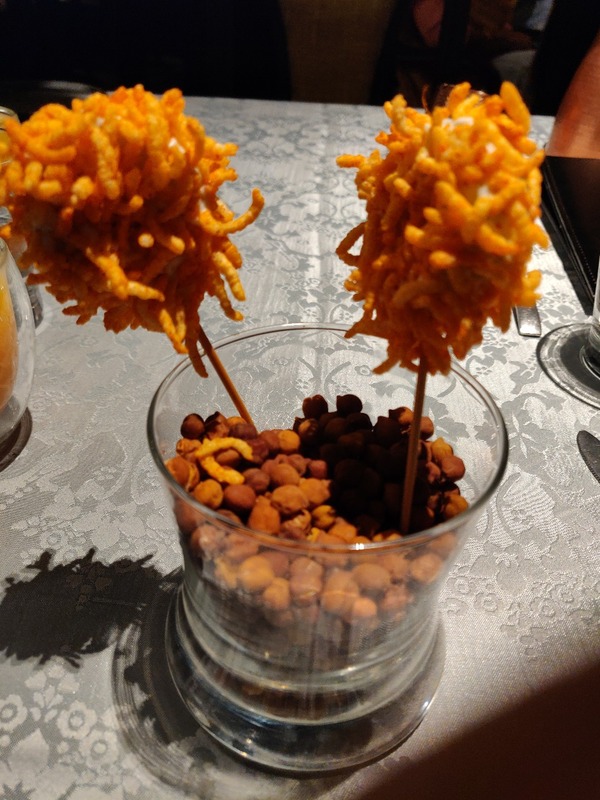 His erstwhile restaurant in Chennai had won many accolades for its innovative food. The new menu here has quite a stamp of his past experiences. 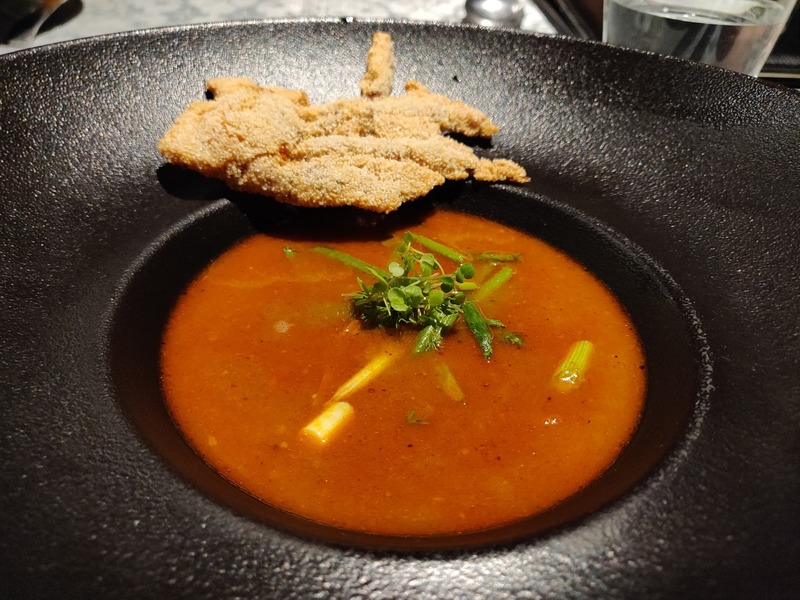 The selections here are mainly a-la-carte with three different tasting menus thrown in for the uninitiated. While the “Green Fables” has the signature vegetarian dishes, “Indian Epic” has selections from different regional cuisines of India. Once Upon a Time has been known for its Hyderabadi food, "Deccan Tales” is the chef’s take on the local Muslim delicacies. Over a couple of visits, I could try out dishes from all three portions of the menu. 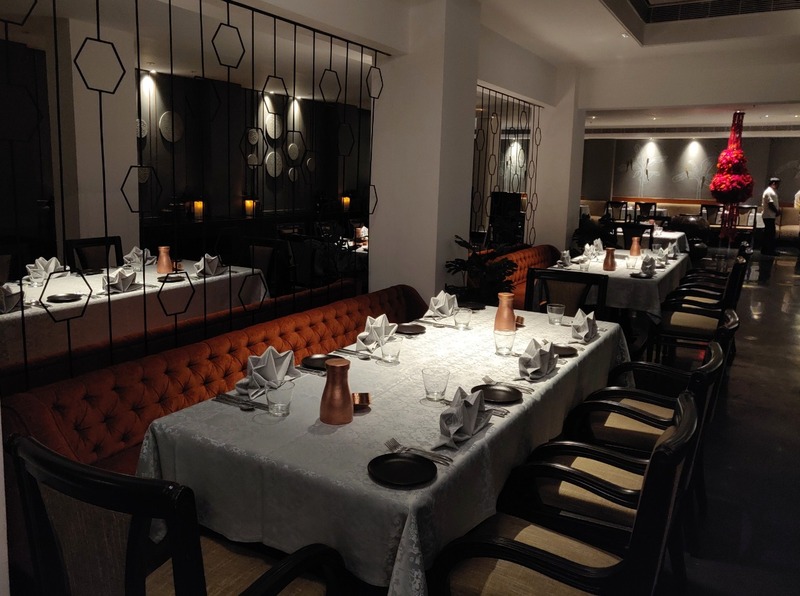 The restaurant has been revamped with a completely new look. A PDR for about fifteen people has been carved out at one end. The bar has been shifted to a more prominent location. 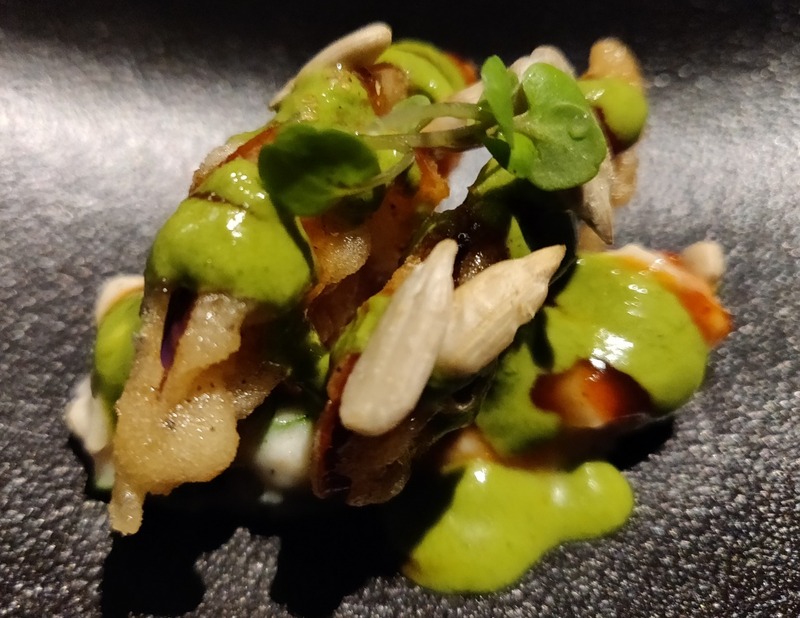 As we settled down we were offered a complimentary starter, a dish where cucumber pieces had curd and spicy puffed rice coating. The presentation was quite unique too. From the vegetarian appetizers, Smoked Baingan Chaat was a dish that is surely worth a look. A puree of eggplant and water chestnut had some crunchy fried eggplant pieces on it along with green chutney. The brilliant taste lifted my expectations of the things to come. 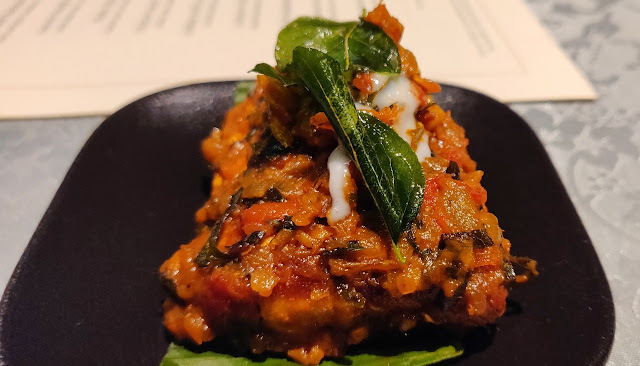 What I noticed was that the menu has quite a few good vegetarian dishes, and even the popular non-vegetarian dishes had a vegetarian version. Cases in point, are the Roti pe Boti with cauliflower kheema, Khumbh Shikampuri, and Paneer Donut Makhani. Of course, my interests were broadly centered on the fish and meat dishes. The three soups that are available are all unique - the Paya Shorba has no actual paya with bones, the trotter broth with a dumpling of trotter extract inside it. 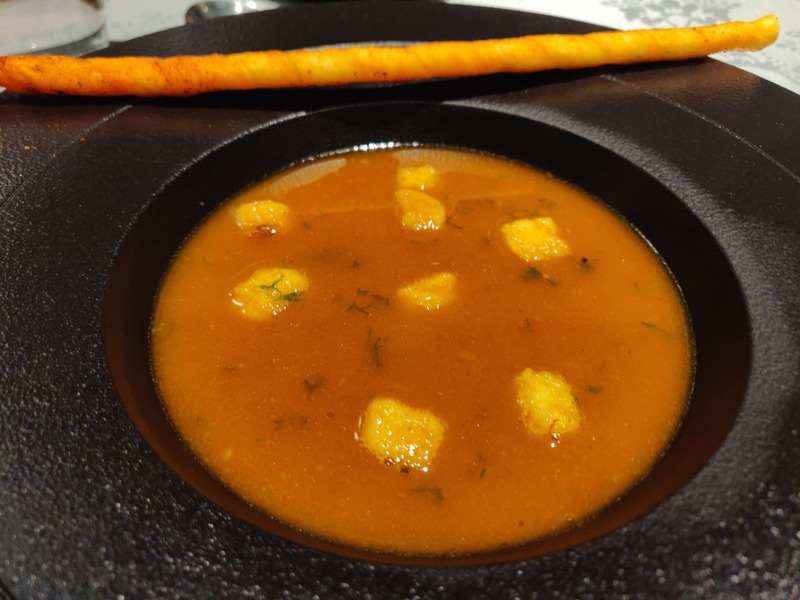 Nandu Rasam is another unique dish, the crab is de-shelled and rawa fried to accompany the tamarind rasam. 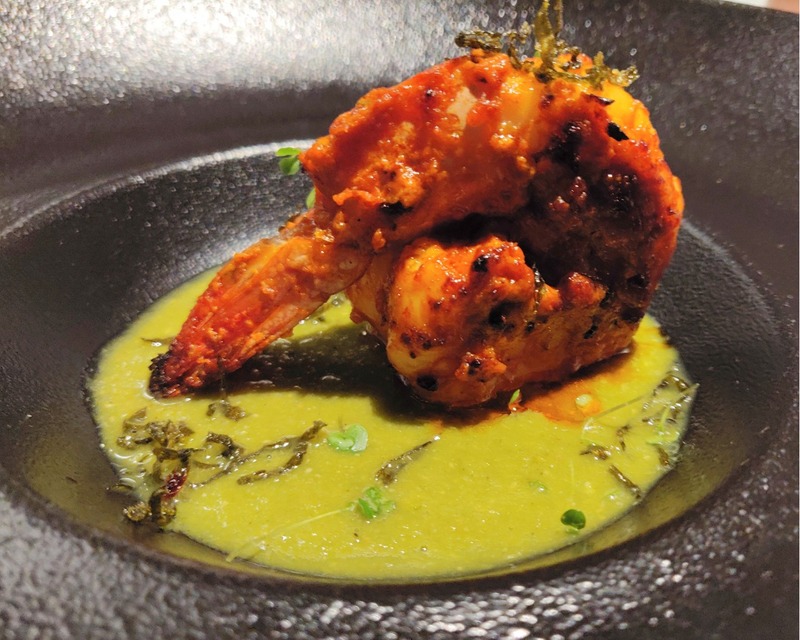 The Meen Polichathu is served open, while the prawn in Khatta Jhinga is prepared in a little sour-ish gongura marinade and served on a green chilly chutney. 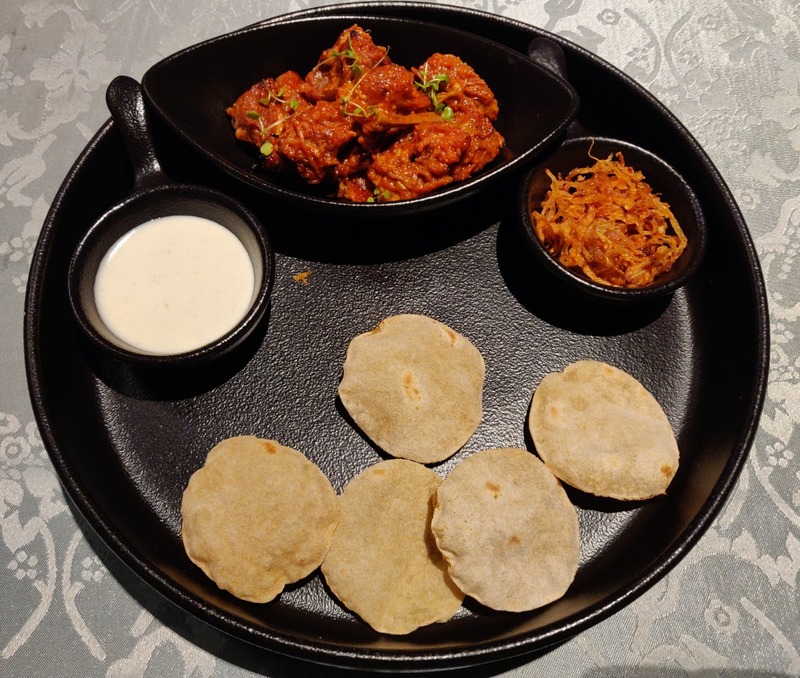 Lamb Roti pe Boti is served with fried onions and mini phulkas, while Naadan Chicken Fry is Kerala style chicken served on a spring hopper. 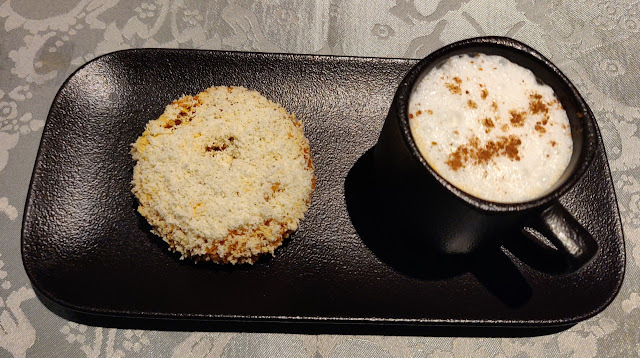 My pick from the non-vegetarian appetizers is Chicken Donut Makhani, where the chicken is served shaped like a donut along with a makhani cappuccino. 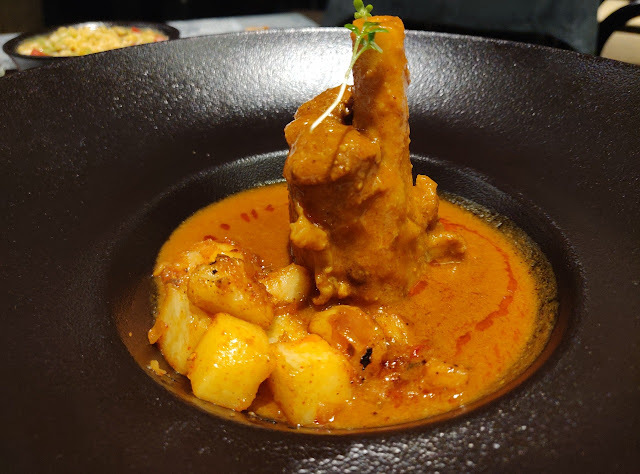 Two dishes which are recommended here are the Awadhi Nalli Nihari and Scallops with Prawn Moilee, the latter served with small-sized appams. Kerala Duck Roast and Butter Poached Lobsters are other dishes which looked interesting, though I am yet to try them. As stated earlier, the Hyderabadi dishes are served with a twist too. 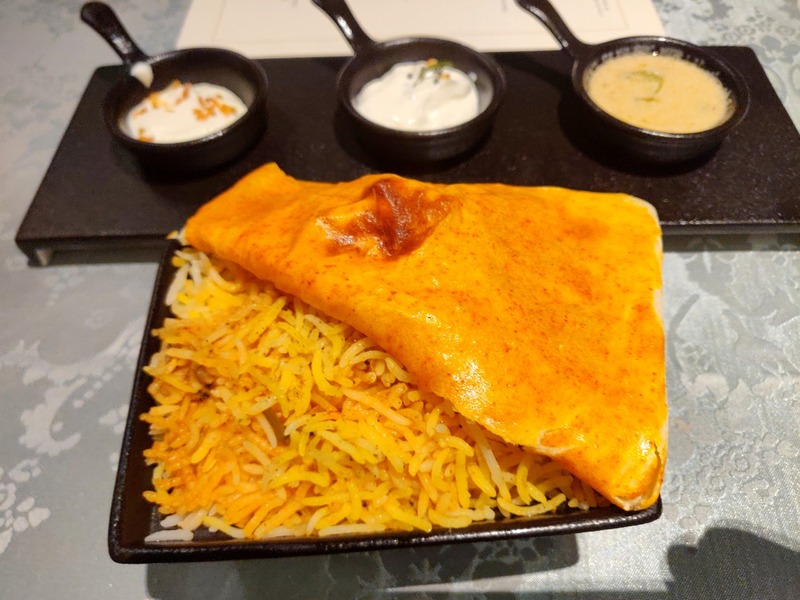 The two biryanis served are the Purdah Murgh Biryani (covered with a lid of dough when served on the table) and Gosht Safediya Pulav, which is more popular local marriages as sofiyani. 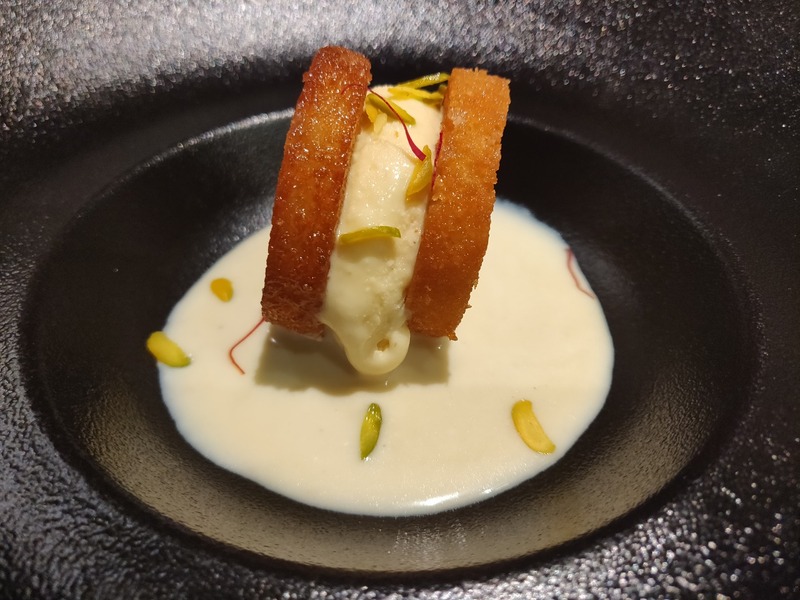 In fact, Once Upon a Time is one of the very few places in Hyderabad to have this dish on the menu. Another rice dish, the vegetarian Tahiri is also available. Kheema Lukmi, Shikampur, and Hyderabadi Haleem are all traditional preparations, served in an innovative fashion. The desserts are where Vignesh has taken a bit of creative liberty. 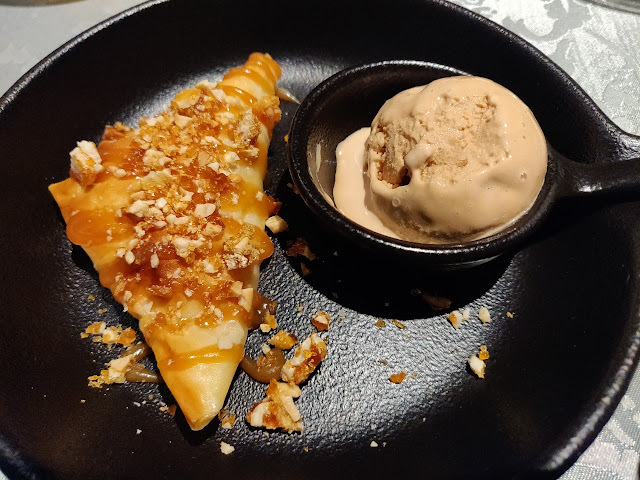 Samosa and Chai is one worth mentioning where khowa stuffed samosas are served with a masala tea ice cream. Shahi Tukda has rabdi ice cream stuffed between two round and crispy saffron bread. Khubani ka Meetha Crumble has apricots in a Mysore pak crumble. 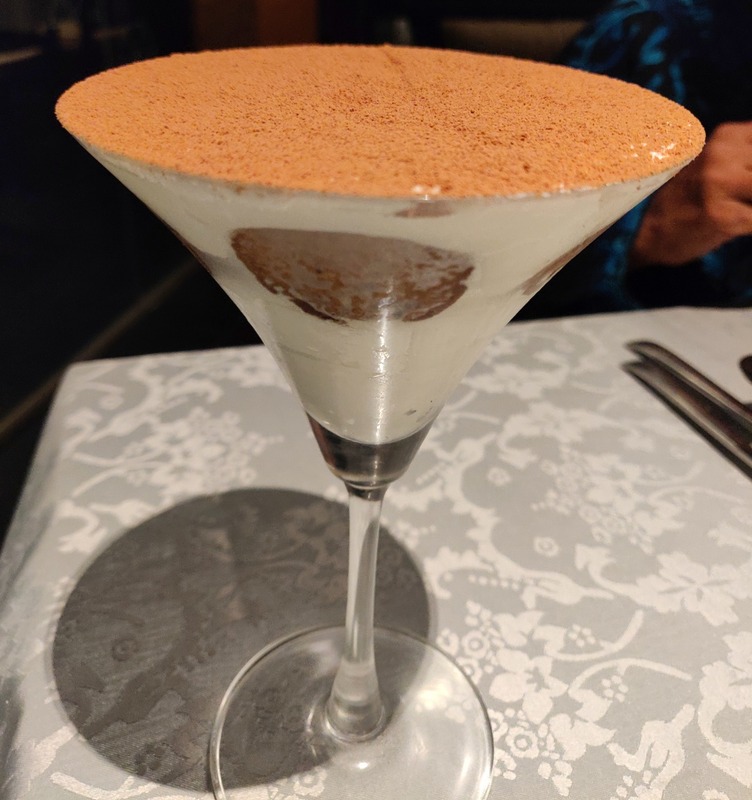 The Rasgulla Tiramisu is a unique dish using rasgullas instead of savoiardi. The Payasam Medley has a beetroot-colored payasam apart from the South Indian favourite Adha Pradhaman. 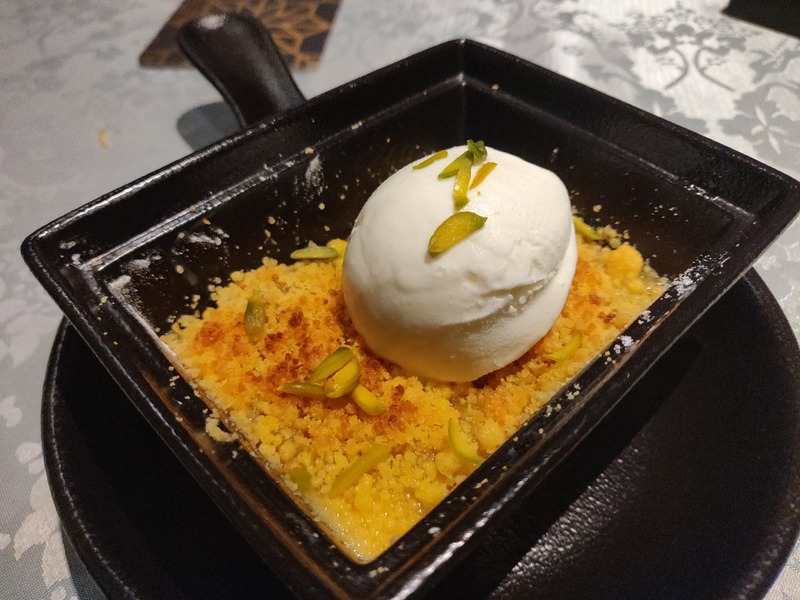 The pick from the desserts is Zaffrani Nimish, the foamy winter dessert from Northern India popularly known as Daulat Ke Chaat and Malaiyyo. The taste replicates the original dish closely, though the preparation is done using modern techniques. 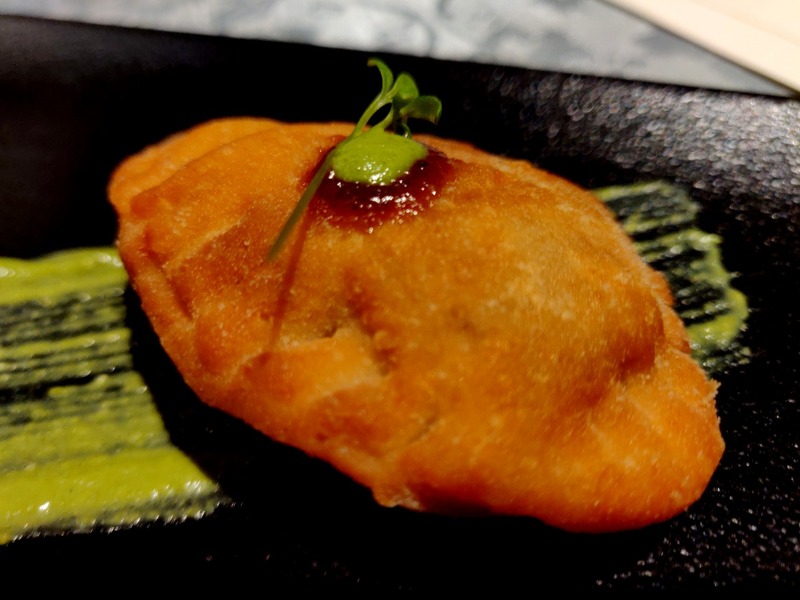 If you are keen on trying these innovative dishes, please go with an open mind. A few dishes may not work for you but overall this is definitely a commendable piece of work, where the dishes have been created with a fresh perspective without compromising the authenticity in most cases. I would definitely recommend a visit for most experimental food enthusiasts of the city.